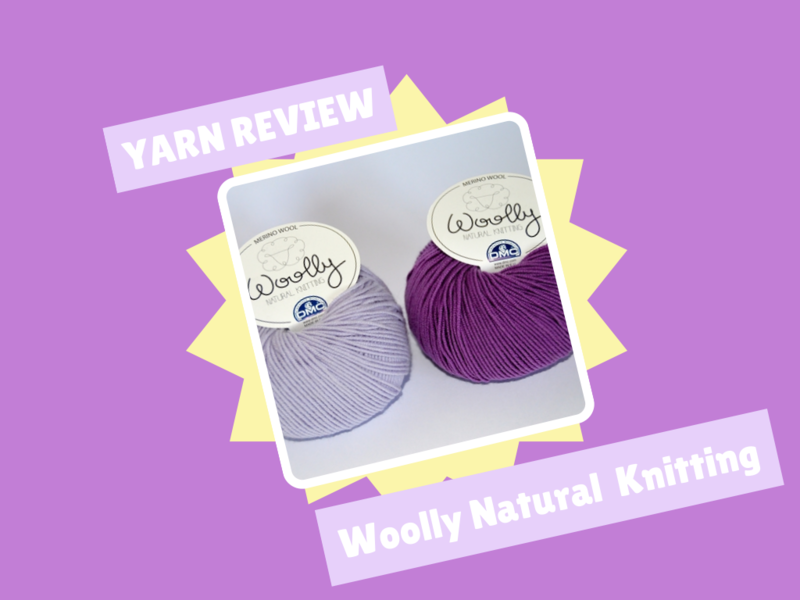 Let's start with the legal stuff; although the yarn featured in this review was given to me by DMC Creative World, the review below is entirely my own opinion. I have received no payment for this review nor do I intend to! Woolly is a DK merino wool from DMC Creative World. According to their website, it comes from Australia and is 100% natural and renewable. There's 36 colours in the range, and they are really modern and vibrant, with a mix of pastels, neutrals and brights and I think there's even more colours to be added soon. The merino in the yarn makes it nice and soft, and so would work well for any items of clothing you make that are going to be close to the skin. I liked this yarn a lot. I'd forgotten how nice it is to work with real wool stuff and not squeaky acrylic. Woolly is not at all splitty which means it glides easily on the hook and creates even, well-defined stitches. 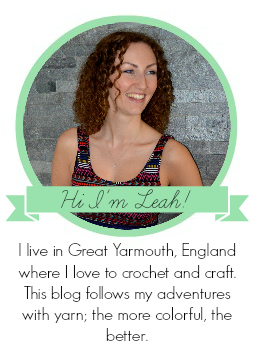 There were no annoying knots in the skein either. 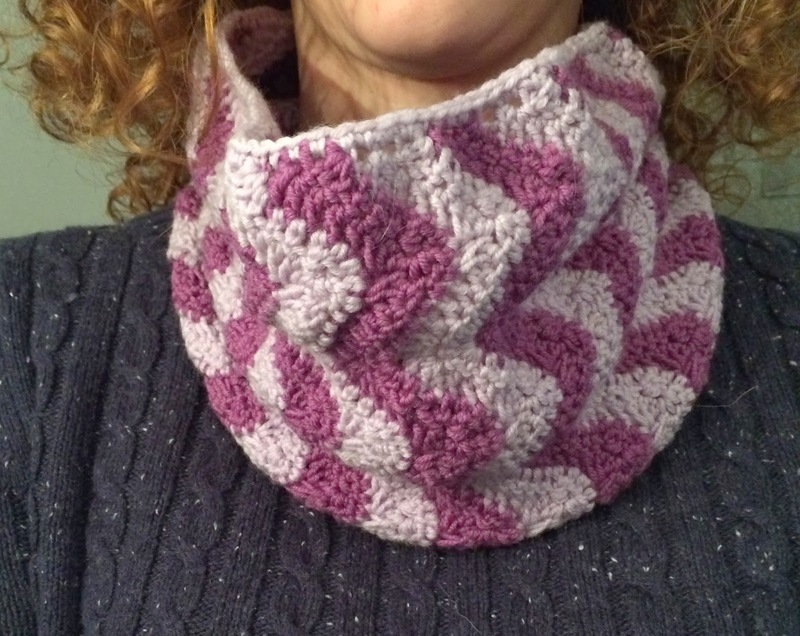 I decided to make a pretty ripple cowl for a friend who loves purple using the free pattern from Crochet from J, and it worked up very quickly. I realised about halfway through that I was crocheting pretty tightly (it's habit; I have to consciously not crochet tightly which is actually harder than you would think) and so this took away the natural hang of the fabric but I was still very pleased with how it turned out. The yarn itself is strong and has a slight stretch and flexibility to it, and like other merinos will be warm in the cool and cool in the warm. This would be a great yarn for jumpers, cardigans and other items of clothing that you want to be soft against your skin, whilst being able to chuck in the wash. In fact, the patterns that DMC have available are exactly those, although sadly, only knitting patterns. It would actually also work well for amigurumi, as it's not at all fuzzy like some merinos can be. It's not cheap though, and so I'd probably save it up for my very special projects.